Shokri-Foumeshi, Mohammad. 2015. 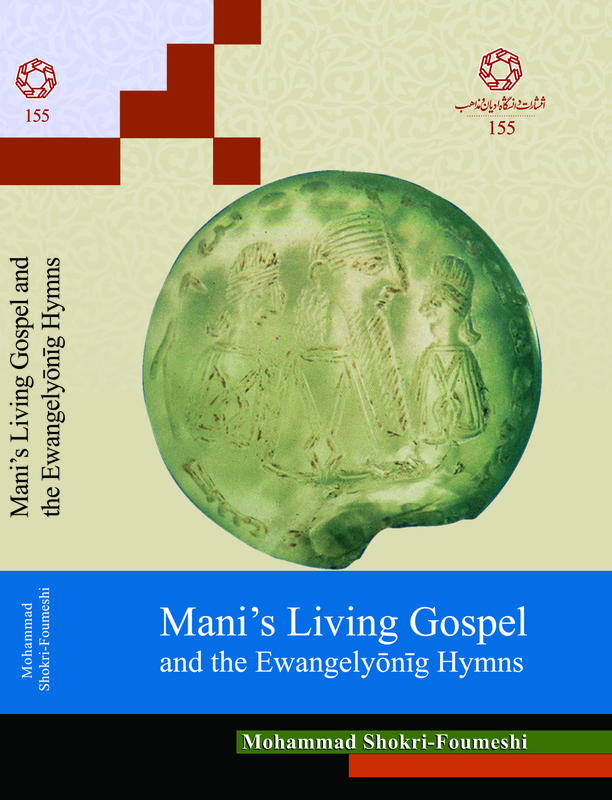 Mani’s Living Gospel and the Ewangelyōnīg Hymns. Edition, Reconstruction and Commentary with a Codicological and Textological Approach Based on Manichaean Turfan Fragments in the Berlin Collection. (Religions and Denominations 155). Qom: The University of Religions and Denominations. This doctoral thesis with the title “Mani’s Living Gospel and the Ewangelyōnīg Hymns: Edition, Reconstruction and Commentary with a Codicological and Textological Approach Based on Manichaean Turfan Fragments in the Berlin Collection” deals with the fragments of Mani’s Living Gospel and the Ewangelyōnīg hymns (The hymn of the Gospel) discovered in the Turfan Oasis in the early 20th century, preserved in the Berlin Turfan Collection. 25 fragments have been studied in this work. Some of these fragments have already been published by other scholars, but only the work presented here aims at finalizing the work begun by others, as I was able to identify new fragments and with their help, was able to complete the fragments available. The combination of the new fragment M5439 with the previously published M17, the former completing the latter, proved to be one of the most important examples for my research on the Middle Persian version of Mani’s Gospel. I was able to reconstruct and conclusively join two of the already published fragments of the Ewangelyōnīg hymns with the help of two new fragments. I have also attempted in the scope of this work, to present an identification of several other fragments that were probably part of Mani’s Gospel. To accomplish this, I have analyzed all the Gnostic-Christian and Iranian sources in depth, and contrasted them with the Manichaean documents, both Iranian and non-Iranian. Thus I was able to present new suggestions and was likewise able to prove or disprove prior assumptions made by others about Mani’s Gospel. To ensure a deeper understanding of the Gospel and the Ewangelyōnīg hymns, I have added a few explanatory chapters and paragraphs to this dissertation that mainly deal with the inner and outer structure of the Gospel and serve, as I hope, in establishing a comprehensive relation between the Gospel and the Ewangelyōnīg hymns. Further research on the Manichaean sources, e.g. the Greek version of the Gospel and the Coptic Synaxeis on the one hand, and the Greek anti-Manichaean sources and accounts by Muslim writers on the other hand, served to deepen our understanding of the content of the Gospel greatly. By incorporating a study of these sources into this dissertation, I was able to close some of those gaps that impeded our understanding of the Gospel. Some important questions pertaining to the alphabetic structure of the chapters of the Gospel and the abecedarian order of the Parthian (Ewangelyōnīg) hymns, I was able to answer in this work. For some hapax legomena I was able to present a reasonable etymology in this dissertation. This doctoral thesis was not only designed to enlarge our understanding of the Turfan texts by presenting the new texts and reconstructions, moreover the new proposed codicological and textological approaches applied to the texts may serve to facilitate or at least simplify further research in this field. For more information read the author’s introduction to this volume. A PDF of this Volume is free accesable for download here. Mohammd Shokri-Foumeshi (PhD 2014) is a scholar of Manichaean as well as Middle Iranian studies and a lecturer at the The University of Religions and Denominations, Qom (Iran).